1. These conditions apply to any tender offer and agreement between Fairways & Greens and Fairways & Greens Party in which these conditions has stated, if these conditions are not expressly and in writing. 2. These conditions also apply to agreements with Fairways & Greens, the execution of which by Fairways & Greens third parties are involved. 3. The applicability of any purchase or other conditions of the Other is explicitly rejected. 4. If one or more provisions of these terms at any time wholly or partially invalid or void, it remains, in these terms and conditions fully apply. Fairways & Greens and the other party will then engage in dialogue to develop new rules to agree to replace the invalid provisions, as much as possible the purpose and intent of the original provisions are observed. 5. If uncertainty exists regarding the interpretation of one or more provisions of these terms and conditions, then the explanation must take place "in the spirit of these provisions. 6. If there is a conflict between parties arises which is not covered by these general conditions, this situation should be assessed in the spirit of these terms and conditions. 7. If Fairways & Greens does not require strict compliance with these conditions, this does not mean that its provisions do not apply, or Fairways & Greens in any degree would lose the right to otherwise strict compliance with the provisions of these terms and conditions to desire. 1. All bids and offers of Fairways & Greens are free, unless a deadline for acceptance is made in the offer. A tender offer expires if the product on which the offer or the offer relates, in the meantime is no longer available. 2. Fairways & Greens can not be held to its offers if the other party can reasonably understand that the bids or offers, or a part thereof, an obvious mistake or error. 3. The prices mentioned in an offer are inclusive of VAT and other taxes and any government under the contract costs to be incurred, including shipping and handling, unless otherwise indicated. 4. If the acceptance (whether or not to subordinate items) from the offer included in the quotation or offer is not bound Fairways & Greens. The agreement is not in accordance with said deviating acceptance, unless Fairways & Greens indicates otherwise. 5. A compound quotation Fairways & Greens not to execute part of the assignment against a corresponding part of the price. 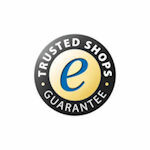 Offers or quotations do not automatically apply to future orders. 1.The agreement between Fairways & Greens and the Other is for an indefinite period, unless the nature of the agreement dictates otherwise or if the parties expressly agree otherwise in writing. 2 .Fairways & Greens has the right to have certain work done by others. 3. Fairways & Greens is entitled to execute the agreement in several phases and to invoice the parts separately. 4 .If the agreement is implemented in phases Fairways & Greens, the execution of those parts belonging to a following stage until the Customer has approved the results of the previous stage. 5 .If Fairways & Greens requires information from the other party for the implementation of the agreement, the execution period begins no earlier than after the Other Party has provided accurate and complete to Fairways & Greens. 6 .If during the execution of the agreement shows that it is necessary for a proper implementation to modify or supplement, then parties will proceed swiftly and in mutual consultation adapt the agreement. If the nature, scope or content of the agreement, whether or not to request or indication of the Other, of the competent authorities et cetera, is amended and the contract would be qualitatively and / or quantitatively, this may have consequences for what was originally agreed. This may initially agreed amount can be increased or decreased. Fairways & Greens will it as much as possible quotation. Through an amendment to the agreement, the originally specified period of implementing change. The Other Party accepts the possibility of amending the agreement, including the change in price and time of execution. 7 .If the agreement is amended, including a supplement, then Fairways & Greens entitled to implement them only after this is given by the agreement within Fairways & Greens competent person and the other party has agreed to the specified for implementation price and other conditions, including then determine the time at which it will be implemented. Failure or not immediately implement the amended agreement also provides default of Fairways & Greens and the Other is no reason to cancel the contract. 8 .Zonder to come into default, Fairways & Greens may refuse a request to amend the agreement if it qualitatively and / or quantitatively, could result, for example, to be performed in that context work or to be delivered. 9 .If the other party in default should be in the proper performance of which which he held against Fairways & Greens, the party is liable for all damages (including costs) on the side of Fairways & Greens thereby directly or indirectly. 1. Fairways & Greens is authorized to suspend the fulfillment of the obligations or to dissolve the agreement with immediate effect if: - The Other obligations under the agreement, not fully or timely; - after the conclusion of the agreement Fairways & Greens learns of circumstances giving good ground to fear that the other party will not fulfill its obligations; - the other party in concluding the agreement was requested to provide security for the fulfillment of his obligations under the agreement and this security or insufficient; - If the delay on the part of the Other no longer Fairways & Greens can be expected that he will fulfill the agreement under the terms originally agreed, Fairways & Greens is entitled to terminate the agreement. - if circumstances arise of such nature that fulfillment of the contract impossible or unaltered maintenance of the agreement not reasonably Fairways & Greens may be required. 2. If the dissolution is attributable to the Other, Fairways & Greens is entitled to compensation for damages, including costs, thereby directly and indirectly. 3. If the agreement is dissolved, the claims of Fairways & Greens on the Other immediately due and payable. If Fairways & Greens suspends fulfillment of the obligations, he retains his rights under the law and agreement. 4. If Fairways & Greens on the grounds mentioned in this article to suspension or dissolution, he is consequently in no way liable for damages and costs it incurred in any way or compensation, while the Other, by virtue of default, or for damages or compensation is required. 5. If the agreement is terminated prematurely by Fairways & Greens, Fairways & Greens in consultation with the Other arrange for transfer of additional work to third parties. Unless the termination is attributable to the Other. Unless the interim end to Fairways & Greens is attributable to the cost of transfer to the Other charged. Fairways & Greens Party will inform as much as possible in advance concerning the magnitude of these costs. The other party is obliged to pay these costs within the time limit set by Fairways & Greens, Fairways & Greens unless indicated otherwise. 6. In case of liquidation, (application) receivership or bankruptcy of attachment - if and where the herd is not lifted within three months - at the expense of the Other, of debt or other circumstance that the Other is no longer freely about his ability available, Fairways & Greens is free to the agreement immediately and terminate with immediate effect or to cancel the order or agreement without any obligation to pay any damages or compensation. The claims of Fairways & Greens on the Other in that case immediately due and payable. 7. If the other party cancels an order in whole or in part, the order or ready-made things, plus the potential to drain and delivery costs and the reserved time for the execution of the agreement, integral to the Other be charged . 1. Fairways & Greens is not obliged to fulfill any obligation to the other party if he is being hampered due to a circumstance that is not due to debt, and neither under the law, a legal action or generally accepted traffic accounted for comes. 2. Force majeure is defined in these terms, in addition to that which is understood in law and jurisprudence, all external causes, foreseen or unforeseen, which Fairways & Greens can not influence but which prevents Fairways & Greens is unable obligations to fulfill. Fairways & Greens also have the right to invoke force majeure if the circumstance rendering (further) fulfillment of the agreement prevents occurs after Fairways & Greens should have fulfilled his obligation. 3. Fairways & Greens may persist during the period that the force majeure suspend the obligations under the agreement. If this period lasts longer than no, then each party is entitled to terminate the agreement without any obligation to pay damages to the other party. 4. If Fairways & Greens at the time the force majeure its obligations under the Agreement has been partially fulfilled or will fulfill, and to fulfill or to meet part independent value, Fairways & Greens is entitled to the already fulfilled after respectively to come to bill portion separately. The other party is obliged to pay this invoice as if it were a separate agreement. 1. Payment is always in advance or be made at time of purchase unless prior agreement other conditions. This in a way to be indicated in the currency invoiced by Fairways & Greens, unless otherwise specified by Fairways & Greens. Fairways & Greens is entitled to periodic billing. 2. If the other party fails to make timely payment of an invoice, then the other party is legally in default. The Other is then an interest. In the case of a consumer's interest at the statutory rate. In other cases, the Other an interest of 4% per month, unless the statutory interest is higher, in which case the statutory interest. The interest on the due amount will be calculated from the time that the other party is in default until the moment of payment of the full amount owed. 3. Fairways & Greens has the right by Other payments made to stretch in the first place to reduce the costs, then deducting the interest and finally to reduce the principal and accrued interest. 4. Fairways & Greens can, without being in default, an offer to refuse payment if the Other another order for the allocation of the payment. Fairways & Greens can refuse full payment of the principal, if not also the cases and accrued interest and collection costs. 6. If the other party is in default or omission in the (timely) fulfillment of its obligations, all reasonable costs incurred in obtaining satisfaction out of court on behalf of the Other. The extrajudicial costs are calculated on the basis of what is currently in the Dutch collection, currently under the calculation method II report. If Fairways & Greens, however, higher costs for collection has been reasonably necessary, the actual costs for reimbursement. Any judicial and execution costs will also be recovered from the Other. The Other is on the collection costs also include interest. 1. All through Fairways & Greens remain in the goods delivered under the contract owned by Fairways & Greens until the other party all obligations under the Fairways & Greens agreement (s) is properly implemented. 2. By Fairways & Greens delivered, that pursuant to paragraph 1. the property, may not be resold and must never be used as payment. The Party is not entitled to pawn under the title falling or encumber in any other way. 3. The Other is always to do what was reasonably expected of him may be to secure the property rights of Fairways & Greens. 4. If third parties seize the property delivered or rights to establish or exercise, then the Party obligated to Fairways & Greens notifying immediately. 5. The other party is obliged to insure the goods delivered under retention of title and to keep them insured against fire, explosion and water damage and theft and the policy of this insurance on first request to Fairways & Greens for inspection. Any payment of the insurance Fairways & Greens entitled to these tokens. Insofar as necessary, the other party commits itself towards Fairways & Greens far in advance to cooperate with all that that framework was necessary or desirable (appear) to be. 6. In case Fairways & Greens are wishes to exercise in this article property rights, the other party in advance unconditional and irrevocable consent to Fairways & Greens and Fairways & Greens to designate a third party to enter those places where the property of Fairways & Greens are located and to take back. 1. By Fairways & Greens to be delivered shall meet the usual requirements and standards that at the time of delivery could be made reasonably and in which they normally use in the Netherlands. The guarantee mentioned in this article shall apply to matters that are intended for use within the Netherlands. When outside the Netherlands should verify the Party itself or its use is suitable for use there and whether they satisfy the conditions which they are made. Fairways & Greens may then other guarantees and other conditions in respect of the goods or perform activities to deliver. 2. The mentioned in paragraph 1 of this Article shall guarantee is valid for a period of delivery, unless the nature of the provided otherwise or the parties agree otherwise. If a case is to be produced by a third party guarantee provided by Fairways & Greens, then the guarantee is limited to those provided by the producer of the case, unless otherwise indicated. After the warranty period, all costs for repair or replacement, including administration, postage and wire costs, to the Other charged. 3. Any form of guarantee will lapse if a defect is caused by or resulting from improper or inappropriate use or use after the expiry date, improper storage or maintenance by the Party and / or third parties when, without written permission of Fairways & Greens, the other party or parties have applied to the case changes or have tried to bring that other cases were confirmed that should not be attached to it, or if they were processed or modified other than as prescribed. The Other is not entitled to warranty if the defect is caused by or arising from circumstances where Fairways & Greens no influence on, including weather conditions (such as but not limited to, extreme temperatures or rainfall) et cetera. 4. The other party is obliged to (do) investigate immediately the moment that things are made available and the relevant activities are carried out. The Other Party must examine whether the quality and / or quantity of delivered corresponds with what was agreed and meets the requirements of the parties thereto have agreed. Any defects within 3 months after discovery to be reported in writing to Fairways & Greens. The report must contain a detailed description of the defect, so Fairways & Greens is able to react adequately. The other party must Fairways & Greens in the opportunity to ask (do) investigate a complaint. 5. If the other party timely complaint, suspend its payment obligation. The Other remains in that case also held to purchase and payment of the otherwise ordered, except it has no independent value. 6. If a defect notification is made, then the Other no longer to repair, replacement or compensation, unless a longer term derives from the nature of the case or the other circumstances of the case. 7. If it is determined that a case is weak and that time is on gereclameerd, Fairways & Greens will be the poor, within a reasonable period of time after the return receipt or, if return is not reasonably possible, following notification of the defect by the other party, at its option Fairways & Greens, replace or repair thereof or replacement fee to the Other comply. In case of replacement, the Party is obliged to replace the matter to return to Fairways & Greens and to transfer ownership to Fairways & Greens, Fairways & Greens unless indicated otherwise. 8. If it is established that a complaint is unfounded, then the costs it incurred, including research costs, on the side of Fairways & Greens, are fully borne by the other party. 1. If Fairways & Greens is liable, this liability is limited to that which is governed by this provision. 2. Fairways & Greens is not liable for damages of any kind, caused by Fairways & Greens is assumed by or on behalf of the Other incorrect and / or incomplete data. 3. Fairways & Greens is liable for direct damage. 4. Direct damage is only: - the reasonable costs of determining the cause and extent of the damage, insofar as the determination relates to damage under these conditions; - any reasonable expenses incurred for the poor performance of Fairways & Greens meet the agreement, insofar as this can be attributed to Fairways & Greens; - reasonable costs incurred to prevent or mitigate damage, insofar as the Customer demonstrates that these expenses resulted in mitigation of direct damage under these conditions. 5. Fairways & Greens is never liable for indirect damages, including consequential damages, lost profits, lost savings and damage due to business or other stagnation. In the case of a consumer this restriction does not go beyond that which is permitted pursuant to article 7:24 paragraph 2 DCC. 6. If Fairways & Greens would be liable for any damages, the liability of Fairways & Greens limited to three times the invoice value of the order, at least that portion of the order which the liability relates. 7. The liability of Fairways & Greens is in any case limited to the amount paid by its insurer, as appropriate. 8. The limitations of liability included in this article do not apply if the damage is due to intent or gross negligence of Fairways & Greens or his senior subordinates. 1. Notwithstanding the statutory limitation periods, the limitation of all claims and defenses against Fairways & Greens and by Fairways & Greens in the performance of a third party, a year. 2. Paragraph 1 shall not apply to legal claims and defenses that are based on facts that would justify the assertion that the case was not delivered to the agreement would respond. Such claims and defenses barred two years after the Other Fairways & Greens such non-compliance has informed. Article 11 Transfer of Risk 1. The risk of loss, damage or loss is transferred to the Customer at the moment things in the power of the Other. Article 12 Disclaimer 1. The Other indemnify Fairways & Greens for any claims from third parties who suffer damages in connection with the execution of the agreement and whose cause other than to Fairways & Greens attributable. 2. If Fairways & Greens in that respect should be addressed by third parties, then the Party held Fairways & Greens to assist both out of court and immediately what to do for him in that case can be expected. If the Other in default in taking adequate measures, then Fairways & Greens, without notice, entitled themselves doing so. All costs and damages on the part of Fairways & Greens and others are created, are for the account and risk of the Other. 1. Fairways & Greens retains the rights and powers for which he is entitled under the Copyright and other intellectual laws and regulations. Fairways & Greens has the right to use through the implementation of an agreement at his side increased knowledge for other purposes, provided that no strictly confidential information of the other party to third parties. 1. On relations with all legal Fairways & Greens party, only Dutch law, also if a contract wholly or partly abroad or if there is the party involved in the relationship. The applicability of the CISG is excluded. 2. The parties will first appeal to the courts after they settle the utmost to solve a dispute by mutual agreement. If you make use of this right of withdrawal contribute yourself the direct cost of returning the product. 2. Applicable is the last registered version or the version valid at the time of the conclusion of the legal relationship with Fairways & Greens. 3. The Dutch text of the general conditions is decisive for the interpretation thereof.